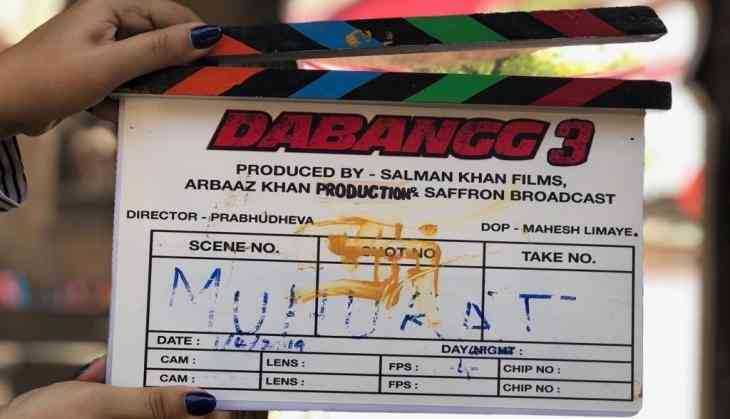 With the first day of April, Salman Khan and director Prabhu Deva have started the shooting of their next collaboration Dabangg 3. The film will mark the third sequel of superhit franchise Dabangg franchise. Prabhu Deva and Salman Khan worked together one and last time for Wanted that released in 2009. Now after 10 years once again they both are back with Dabangg 3. Today, the superstar Salman Khan shared the video on social media in which he told that he and his brother Arbaaz Khan are going to their birthplace Indore for the shooting of Dabangg 3. The film starring Salman Khan has gone floors from today onwards. Now the superstar shared the first look of him as Chulbul Pandey on social media. He shared a picture on him from the backside and having sunglass in his collar like in previous films as well. The picture also has shows director Prabhu Deva who is directing the scenes to Salman Khan. Talking about the film then Dabangg franchise always has seen different directors. Earlier Abhinav Kashyap directed Dabangg, then it followed by producer Arbaaz Khan who turned director for Dabangg 2. Significantly, this time the film will mark the entry of Kannada actor Sudeep in the role of leading villain. Earlier Prakash Raj and Sonu Sood played the roles of villain. The film also stars Sonakshi Sinha and Arbaaz Khan, this will be the first time when late actor Vinod Khanna won't be a part of the franchise.